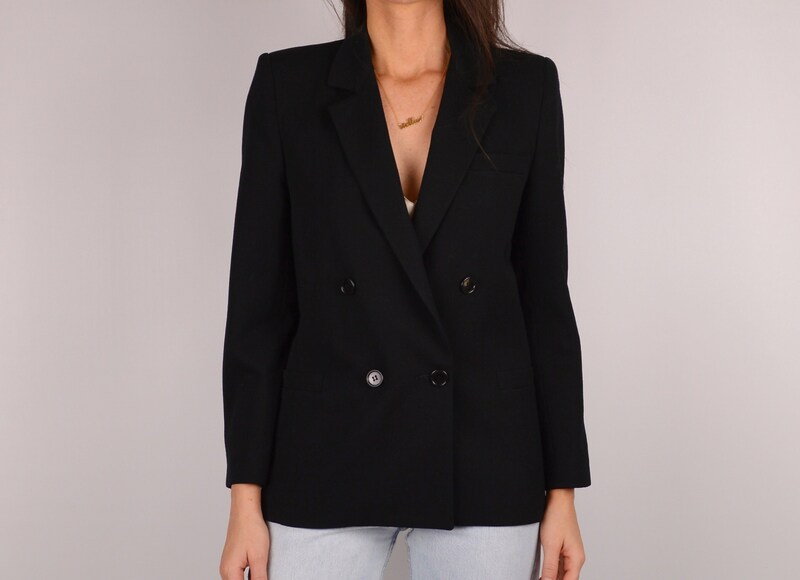 Perfect vintage black all season wool blazer. 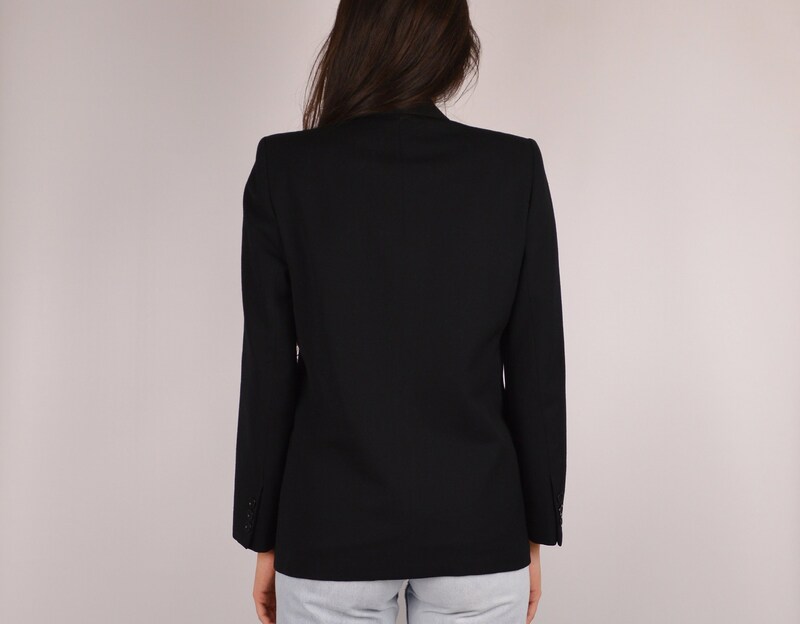 Double-breasted closure, perfectly padded shoulders, pockets, and fully lined. Made in USA. Ideal fit for petite babes!